You know, Parental Unit was a bit "iffy" on microchips because she was worried that they might cause skin irritation or worse, based on some of the articles she'd read. But she had no choice in the matter when she got me-I came from the local shelter and the good folks there neutered and micro chipped me before they let me go to my new home (whew-glad that's over!). But the more she's read about microchips in the last four years, she's come to believe that there's no reason to worry-and that at the very least, the benefits outweigh any risks. We learned today from our friends at Found Animals Foundation that May is "Microchip Your Dog Month"-who knew? 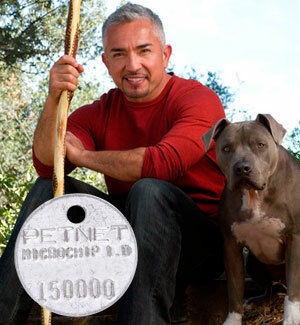 And then we read this article from Cesar's Way where the Dog Whisperer discusses his reasons in favor of micro chipping your dog-in fact, he advocates as do some other countries and a few U.S. communities, the mandatory micro chipping of all dogs. 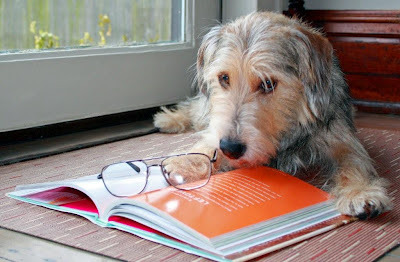 __ It likely will discourage the abandonment of dogs-removing the dog's collar and tags wouldn't be enough to avoid tracing the dog back to the offending owners-and perhaps people might not abandon their dogs if they thought the dog and the crime of dog abandonment or endangerment could be tracked back to them. __It also will likely discourage those who "buy dogs to use as weapons"-dogs who are trained using incredibly cruel techniques to harm other dogs or people. "If the dog was micro chipped, just like a gun with a serial number, it could be traced back to the owner." And the bottom line is that micro chipping reduces the number of strays, shelter-overcrowding and euthanasia rates-problems that unfortunately, are still not under control. By the way, Found Animals Foundation has a free resource to register your dog's micro chip that you can check out right here: www.foundanimals.org/pet-identification/pet-microchipping?utm_medium=Email&utm_source=ExactTarget&utm_campaign=dog_club_5_20_12. And it is important that you make sure that your pet's micro chip number and your contact information are registered together. We're not sure if mine is correctly registered so we're off to check right now. Is your pet micro chipped? Do you think it should be mandatory? Let us know! Great post and we all got's our chippies and feel so much safer with them! I wish that could be implemented here! Thank you for this post, Bocci. I'm micro chipped and Molly will be micro chipped when she has her little girl surgery. Thanks for sharing it. Our dogs are micro chipped too!